Thomas De Quincey, infamous for his memoir "Confessions of an English Opium-Eater", is the major suspect in a series of ferocious mass murders identical to ones that terrorized London 43 years earlier. The blueprint for the killings seems to be De Quincey's essay "On Murder Considered as One of the Fine Arts". 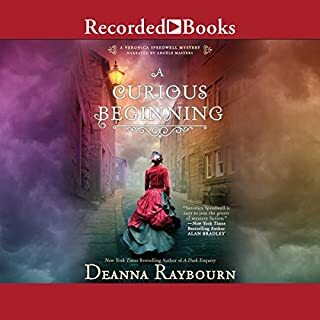 Desperate to clear his name but crippled by opium addiction, De Quincey is aided by his devoted daughter, Emily, and a pair of determined Scotland Yard detectives. 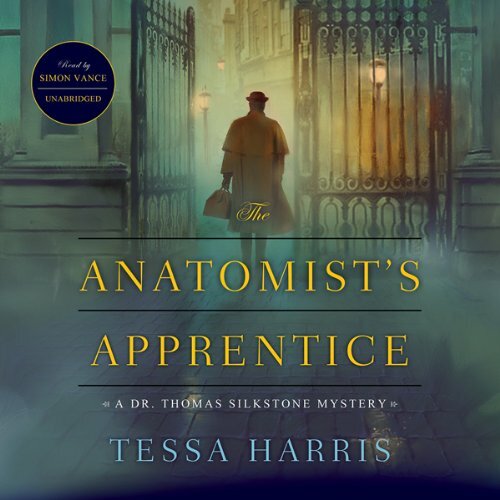 In the first in a stunning mystery series set in eighteenth-century England, Tessa Harris introduces Dr. Thomas Silkstone, anatomist and pioneering forensic detective. The death of Lord Edward Crick has unleashed a torrent of gossip through the seedy taverns and elegant ballrooms of Oxfordshire. Few mourn the dissolute young man - except his sister, the beautiful Lady Lydia Farrell. When her husband comes under suspicion of murder, she seeks expert help from Dr. Thomas Silkstone, a young anatomist from Philadelphia. 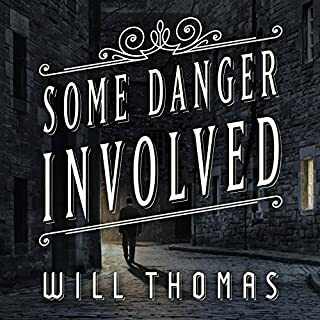 Thomas arrived in England to study under its foremost surgeon, where his unconventional methods only add to his outsider status. Against his better judgment, he agrees to examine Lord Edward’s corpse. But it is not only the dead but also the living to whom he must apply the keen blade of his intellect. And the deeper the doctor’s investigations go, the greater the risk that he will be consigned to the ranks of the corpses he studies. Tessa Harris, born in Lincolnshire, holds a history degree from Oxford University, and after four years of working with local newspapers she set her sights on women’s magazines. She is regularly heard on local BBC radio and over the years has interviewed such people as Margaret Thatcher, Jeffrey Archer, Anthony Hopkins, Susan Hampshire, Alan Titchmarsh, Jackie Stewart, Boris Johnson, and Uri Geller. She lives in Berkshire with her husband and their two children. ©2011 Tessa Harris (P)2011 Blackstone Audio, Inc.
First Simon Vance does a good job with his narration, always does. I thought he did an excellent job with the voices, especially differentiating the young doctor's Philadelphian accent from that of the English characters. I rather wish that the author of the other review had given some examples of historical errors. I didn't catch anything glaring although I did have some questions. I gave some thought to the estate being passed by inheritance but I just assumed that someone earlier had barred the entail on the estate in question. The book felt more like Andrew Taylor's Anatomy of a Ghost (also available on Audible) than Anne Perry's mysteries. Anne Perry's books generally take some social justice issue and weaves the mystery around how the issue leads up to the crime or impedes the detection of the crime. This mystery is kept within the framework of 18th century thought and social mores with a bit of a forensic stretch now and then. There are a couple of rather gruesome post mortem examinations so don't try to listen to this one when eating. If you want to follow up with some true 18th century crimes there are several editions of the Newgate Calendar available for free on line and a great web site called Voices of the Old Bailey. Although it contains a love story it isn't a genre romance and doesn't follow romance conventions. Recommended for those who enjoy historical mysteries. What did you love best about The Anatomist’s Apprentice? The way, just as you thought you knew where the story was going, it changed on you. The book has the appropriate mixture of period information, without it becoming a largely historical fiction tale with only a slight dash of mystery. For a mystery fan, you want a true mystery, with a taste of history mixed in for fun, not the other way around. This book does it right. Which character – as performed by Simon Vance – was your favorite? The true birth of CSI ! If you have read Wilkie Collins and enjoy his stories, you will enjoy this book. It is a Wilkie Collins-ish suspense tale, taking place in the 1780's in England. There is some CSI like work done by the main character mixed in for interest. Simon Vance is outstanding as usual, with his characterization of all the players right on the money. There is just the right amount of period detail to let you feel as if you are in the 1700's, without the boring minutiae of detail that I find in some historical mysteries. I will definitely be buying the next installment of Dr. Thomas Silkstone. Good historical fiction and a murder to solve. This wasn't a great book, but it was a good book. 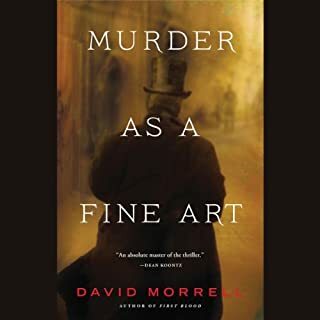 The plot was interesting and, while I don't think the "murder mystery" was solvable by the reader, it was still intriguing. I liked the depth and breadth of the characters but was especially taken with the historical setting and the "old medicine" that is practiced. It is an interesting and entertaining look at medical practice and police procedure of the late 18th century. The narrator did a nice job, with a good range of voices. As is usually true, I find a male narrator does a less than great job with female voices, but his were less bad than most. I expect to look into more of the Silkstone Mysteries. still 40 minutes to go. Sadly it wasn't ending, not when there was one more totally idiot plot twist that could happen. Why did I listen this far? Simon Vance and his fabulous voice and characterizations. The characters and basic premise of the story have promise but the author can't decide if she wants to write a bodice ripper or a mystery. If Lydia is described as fragile one more time in these last 40 minutes, someone could get hurt! As much as I love Simon Vance I won't be getting any more of this series. Lord Crick is Dead! Was He Murdered? 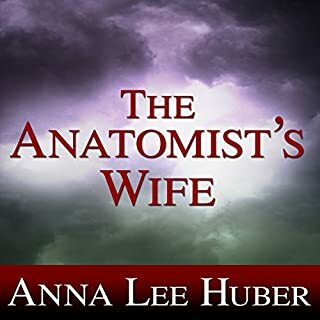 Would you consider the audio edition of The Anatomist’s Apprentice to be better than the print version? No favorite scene, but an unusual scene is when Lord Crick's body exhumed and opened, a storm of flies comes out and catches everybody by surprise. There is not much to be said about this story... it is pretty much one dimensional in that a man (Lord Crick) is dead and buried, his death ruled natural causes, but the town gossipers says that he was murdered and Lady Farrell's husband is the suspect. 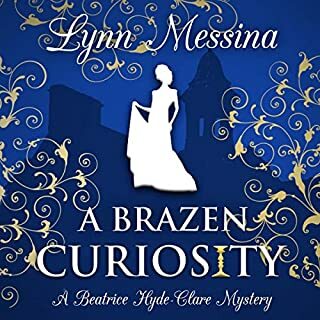 Lady Farrell calls on the best anatomist to investigate and -- you guessed it! -- somebody else killed him. I loved the mystery and medicine in this book but the female love interest was very bland. She mainly batted her big doe-eyes and waited to be rescued. I downloaded this when it was part of an Audible promotion about promising new thrillers. Fortunately, I am not a big fan of thrillers. This is a so- so- historical mystery-procedural, with lots of detail of post-mortems --kind of an 18th century Anne Perry with corpses. The upside - Although it's not a perfect evocation of 18th century England, the listen is was diverting enough (aside from the rotting corpses) that I would download further novels in the proposed series, hoping that the author perfects her craft and historicity as she goes. Good 18th century-set mysteries are rare. As usual, Simon Vance makes the best of his material. 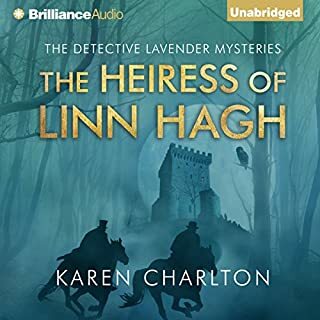 Another English-set, first-in-a-series mystery came out the same week might have been a better choice for the Audible list: Twelve Drummers Drumming - contemporary setting, but a more satisfying mystery. If you like Sherlock Holmes, you will be so glad to be able to "graduate" to the big league in forensic science. Dr. Thomas Silkstone does amazing things in medicine in the 18th century, before the microscope or any of the most basic tools that scientists relied on during Holmes" era. The book is great read with numerous twists and turn, keeping you guessing on who is good and who is bad. A good lesson on watching your back at all times! Im a big Simon Vance fan, which is why I purchased this audible. Not to mention, Im a sucker for anything set in England. Overall, the book has a Sherlock Holmes vibe. The characters, especially Silkstone, are likeable - the plot lively enough, althought not overly suspenseful. Its not outstanding, but was an enjoyable read. Imagine a world without any of the basic medical tools we have today to diagnose and treat illness.Imagine having to use corpses of criminal for autopsies? Imagine the ignorance and superstition! As a nurse I always find these books fascinating. How did Physicians manage to treat their patients despite the lack of knowledge and lack of resources. How could murders ever be solved? It makes me thankful to live in the present century, and I find it fascinating to read (or listen in this case) to just how difficult everything was in those times.